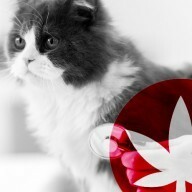 Cibapet - Does CBD Reduce Anxiety And Stress In Cats And Dogs? CBD has gained extreme popularity for its potential to treat a wide array of health conditions. 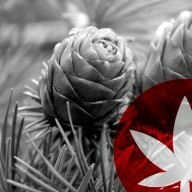 In particular, CBD has been shown to ease various forms of anxiety and stress, and not only in humans. 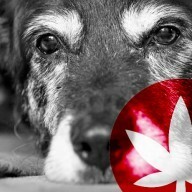 The medical cannabinoid may also be effective at treating these symptoms within our beloved pets. Our feline friends and cuddly canines are able to feel a large spectrum of emotions and, just like us, experience anxiety when subjected to certain external and internal conditions. Anything from being away from an owner for long periods of time to moving to a new house is enough to trigger an anxious response in a pet. 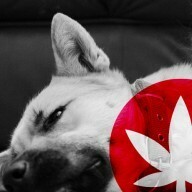 CBD is becoming a popular choice among pet owners as a natural substance to administer when anxiety becomes apparent. But how common is anxiety in pets exactly? And how can an owner become aware of the signs and symptoms in order to see if treatment is needed? HOW COMMON ARE STRESS AND ANXIETY IN PETS? All pets have a different temperament. Some cats are so relaxed that even the sound of a dog barking won't disturb their nap in the sun. On the other hand, some cats are so shy and nervous that the sight of an unfamiliar human will send them running. Anxiety is common within pets, but will affect some far more than others. Some animals may be nervous because of their personality, and others due to environmental stimuli and changes. If you live in a big city around lots of noise, your pet may be more anxious more often. If you are constantly on the move or changing location, then you pet may be more on edge than normal. Stress and anxiety manifest differently in different animals. The behavioural differences between cats and dogs, for example, are so unique that people go so far as to label themselves as “dog people” or “cat people”. When it comes to canines, the answer can sometimes be seen in the eyes. When a dog’s eyelids peel back to display the white of their eyes, it could be a sign of stress. Also, seeing the white of their eyes when they look side-to-side is also a telltale sign, often referred to as “half-moon eye”. Along with the eyes, a dog's ears can also help an owner to see what might be going on in their mental state. A dog's ears may bolt upright when alerted to a sound, but they can also lay back flat; both can be a sign of anxiety. It’s worthwhile to get to know the movements of your dog’s ears so you can easily tell if they are experiencing anxiety. A curl in your dog's lips can also be a sign of anxiety setting in. This curl is a precursor to a snarl, and is a sign that your dog’s protective behaviour is setting in due to perceived danger. Vocal behaviour may change and become more active due to anxiety. Your dog may begin to bark, growl, whine, whimper, or pant as a symptom. Your pet may also exhibit full-body problems in the form of shaking or shivering, shedding, muscular tension, excessive drooling, itching and scratching, and yawning. All of these signs can be triggered by such events as car rides, overstimulation, veterinary visits, and new environment. When it comes to cats, there are numerous signs to look out for. Aggressive behaviour may increase, with your cat becoming less tolerant and more hostile towards people, dogs, and other cats. Depression and withdrawal can also manifest, with your feline becoming a lot less social than normal and staying away from the owner. Your cat may also start to give the litter box a miss, instead going pee pee in undersible locations around the house. Anxiety in cats has multiple causes, including veterinary visits, new family members or pets, moving, loud occasions, and rivalry with other cats. CBD AS A POTENTIAL TREATMENT FOR STRESS AND ANXIETY? 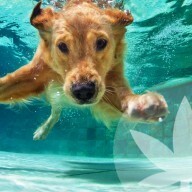 CBD may be just what the doctor (or vet) ordered when it comes to keeping your pets cool, calm, and collected during especially stressful situations, or simply as an everyday wellness supplement. CBD is a compound found within the cannabis plant that belongs to a family of natural chemicals called cannabinoids. Although it stems from cannabis, CBD is non-psychoactive, and is even known to counteract the psychoactive effects of the cannabinoid THC. CBD interact with the endocannabinoid system, a biological system present within many animals including humans, dogs, and cats. The endocannabinoid system is known to regulate a large number of other other systems within the body, which is why cannabinoids such as CBD can sustain such widespread and profound effects. 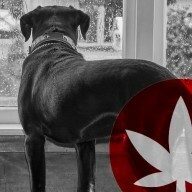 Scientific studies using animal subjects have found that CBD is an anxiolytic drug, meaning that it helps to reduce the symptoms associated with anxiety. 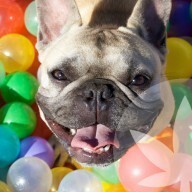 Ultimately, CBD helps to relieve anxiety and stress by relaxing pets. 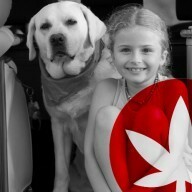 Cibapet products are fantastic options that allow owners to easily administer CBD to pets, whether at home or on-the-go. Cibapet CBD Oil (4% CBD) is extremely easy to give to your cat or dog, and can simply be dropped onto a treat or directly under their tongue for optimal absorption. Cibapet CBD oil also contains other beneficial nutrients such as omega 3 fatty acids. 1–2 drops, 1–2 times each day is advised. Cibapet CBD Pastilles are another great way to give CBD to your pet, and will make the experience incredibly pleasurable for them. Cibapet CBD Pastilles are pretty much medicated dog treats, loaded with CBD alongside important vitamins and minerals. Each pastille contains 4% CBD. 2 pastilles per 10kg for dogs and 2 pastilles for large cats per day are the advised dosages.